Valentine's Day is right around the corner! Do you have your V-day outfit ready?! Above are some of my personal favorites from Shopbop.com. I know it's they're all red dresses but because I don't wear red often throughout the year, Valentine's Day is the one day I make it a point to wear something either RED or PINK. I provided a classic, bohemian and edgy outfit to fit any style you might have. Ok. So. My girlfriends and I also like to have a girls night out to celebrate Anti-Valentine's Day too! Lol. Not that we hate love or anything but for the single ladies out there, V-day isn't their favorite holiday. 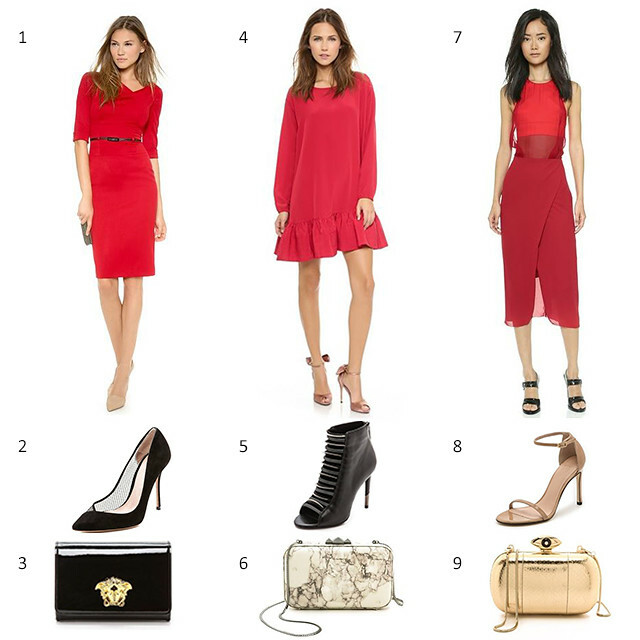 For you Anti-Valentine's Day ladies, I've compiled an Anti-Vday outfit options list for you too! I'm deciding which of these I'll be wearing to my dinner. I'll keep you posted! Hope you see one that catches your eye. Happy Valentine's slash Single Awareness Day!